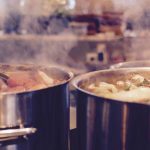 Getting the design, layout and scalability of commercial kitchens for industrial and large businesses is essential to ensure a profitable and productive operation for your company. 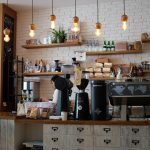 At Indigo Catering Equipment, our professional teamwork to design, fit out and install your premises to meet your business aims and ensure you operate to the full safety and hygiene standards. Working with consultants, our project managers will deliver your installation on time and to budget and will be available for ongoing maintenance and upgrades throughout the life cycle of your kitchen. If you would like to get in touch and discuss your catering equipment, kitchen design or installation, please call our qualified team on 01323 843447, or email us on sales@indigoce.co.uk. 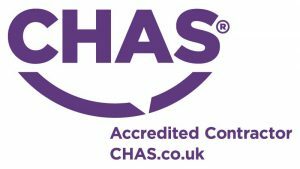 We’ll get back you as soon as possible for an initial consultation and quote. 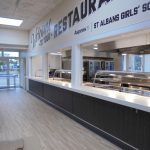 You can also view our case studies here, including our work with the Easy Lunch Company, Muriel’s Kitchen and the Roebuck Inn. Our team has worked on a number of industrial installs, managing projects with a wide variety of spaces. One of our specialisms is creating a layout that takes into account the flow of the kitchen, from initial storage of items to preparing the food and of course, packaging and storing cooked goods for service or delivery. As we know the logistics involved in large kitchens, we’re able to provide tailored solutions for your particular operation, considering all eventualities. 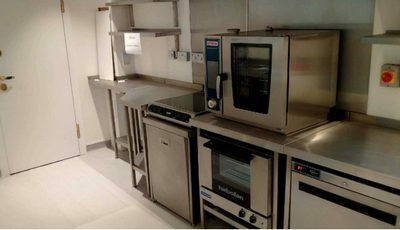 For you’re refit, we focus on quality and matching catering equipment to your kitchen needs. We’re able to advise and source the best equipment for your turnover, making them the most cost-efficient and practical for your capacity. This includes choosing fridges, freezers and washing appliances that will save on your existing energy bills and improve the longevity of your operation. After all, you want equipment that won’t need replacing regularly. 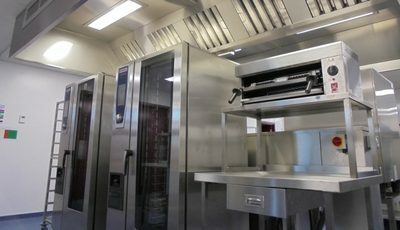 Considerations on each appliance, in addition to layout and functionality, is particularly important for industrial kitchens that deal with bulk orders and will be hubs of activity with large numbers of catering staff. Our designs will also incorporate top safety standards and an advanced extraction system for clean air at all times. If you require one of our business and industrial commercial kitchen services, call us with your requirements on 01323 843447 and will start providing you with a tailored service to exceed your expectations. We look forward to your call.